Waterfalls, wild rivers, wave-beaten coasts, wet rainforests… This is what most people expect to see when they visit Oregon. The state is, after all, home to the Cascade Mountains and located in a region referred to as “Cascadia”—cascades are everywhere. 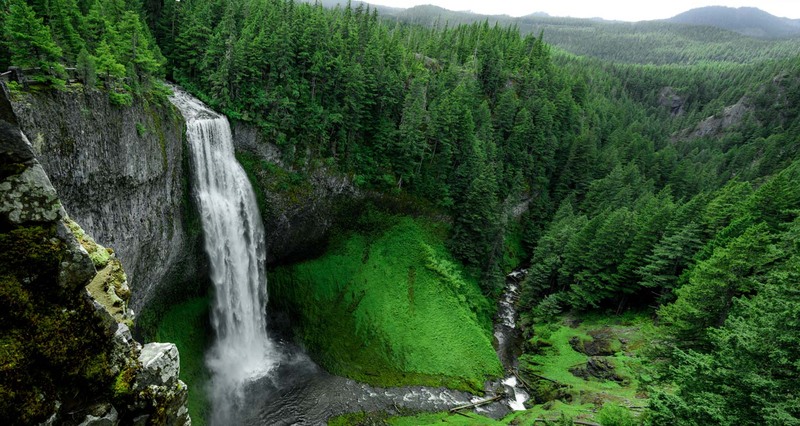 The number of Oregon waterfalls is staggering, reaching well into the hundreds. Some of them are higher than skyscrapers, while others are small but almost impossibly picturesque. Welcome to the lushness and magic of Oregon. Many Oregon waterfalls are pretty accessible, usually requiring a short hike or sometimes visible from viewing platforms just off the road. There are, however, also some that demand a bit more effort. Sometimes, seeing one of the greatest waterfalls in Oregon requires a day hike, which makes them even more special. These natural wonders are some of Oregon’s largest attractions, meaning crowds of visitors are expected to come annually. 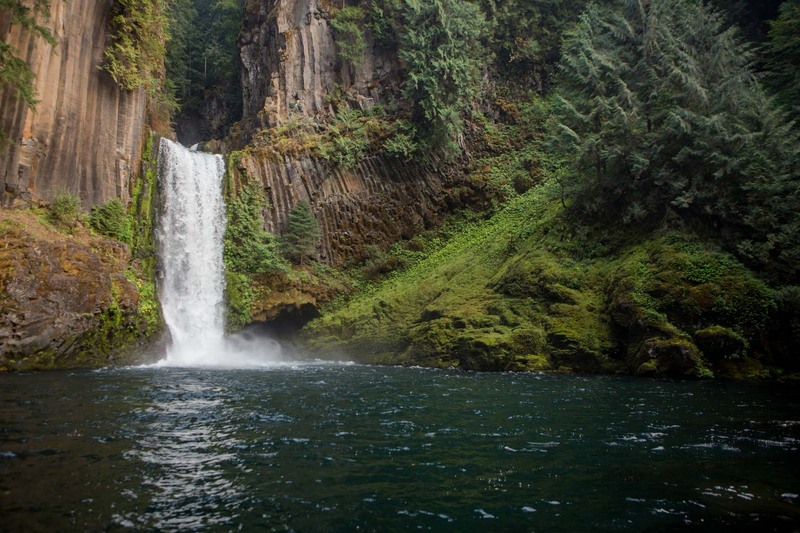 Visitors should keep in mind practices of leave no trace to best minimize the impact dealt to the areas around these waterfalls in Oregon. In terms of sheer volume and number of cascades, it is hard to imagine any waterfalls in Oregon that compare to Ramona Falls. This jewel lies in the heart of Mount Hood National Forest, one of the “Seven Wonders of Oregon.” You can reach it on a 3.5-mile trail through the old-growth forest, and with an elevation gain of no more than 1,000 feet, this trail is moderate hike suitable for most people. A perfectly positioned bridge at the base offers a wide and unobstructed view of the falls. 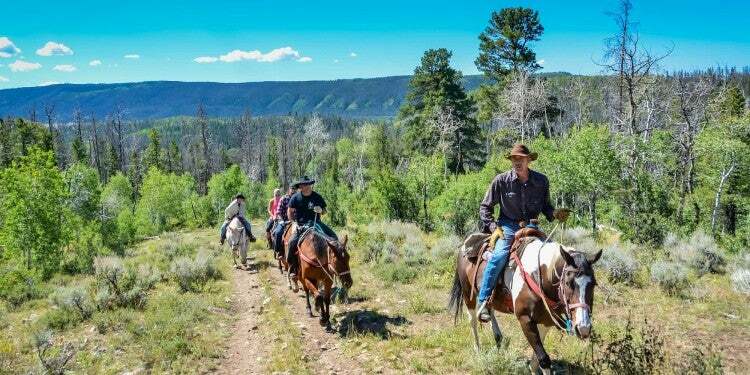 “You are close to natural highlights like Lost Creek Falls, Burnt Lake and Ramona Falls hikes… you’re in one of the best scenic areas of the country and a quieter, indeed prouder corner of the camping world. 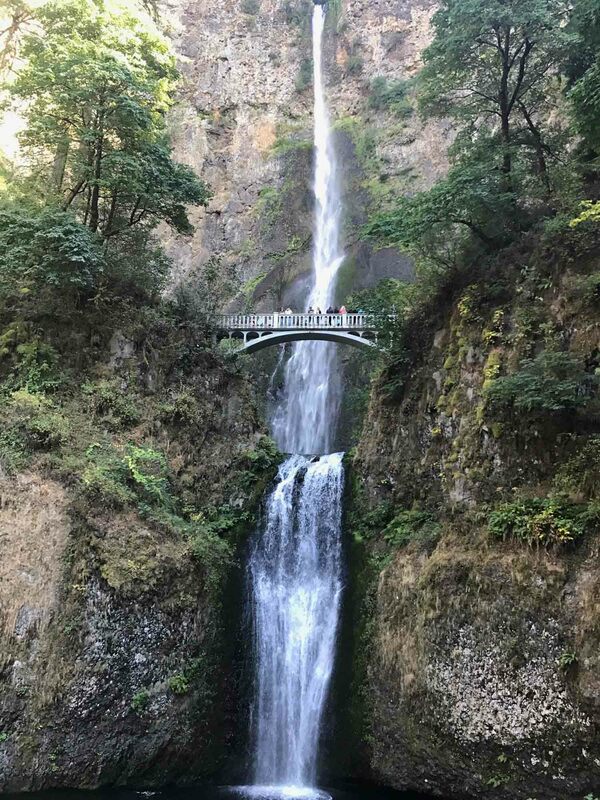 A gem.” —The Dyrt camper Bjorn S.
Image from The Dyrt camper Darin D.
The most famous of all Oregon waterfalls, Multnomah Falls is the star attraction in the Columbia River Gorge, about 30 minutes outside of Portland. Fair warning—the parking lot off I-84 can fill up quickly on weekends, so go early or on a weekday. From the lot, it’s a 5-minute stroll to the falls. More than two million people visit the falls every year, making it one of the most popular natural attractions in the Pacific Northwest. If you’re ever alone there, consider yourself very lucky. Made up of upper and lower falls, Multnomah Falls is 611 feet from top to base. Visitors can walk to a bridge positioned just above the lower falls, for an even closer view. This is one of Oregon’s most photographed locations. 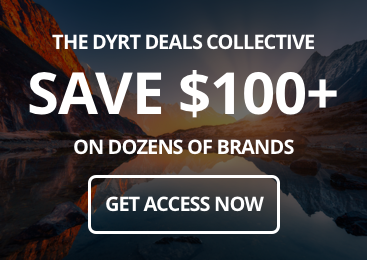 Once you see it for yourself, you’ll quickly realize why. 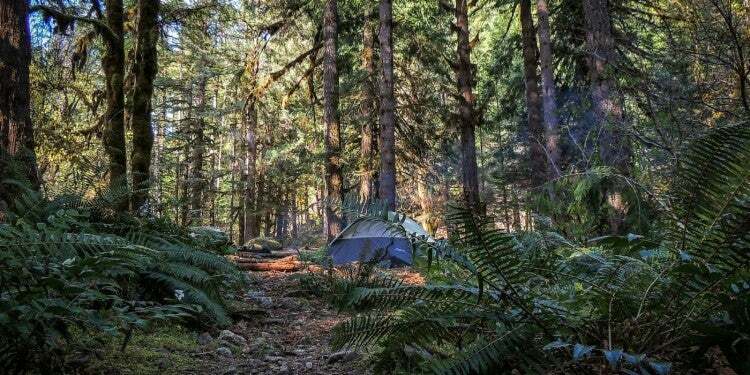 “This campsite was pretty close to Oneonta Gorge, Multnomah Falls, and Latourell Falls. It wasn’t as well spaced as I would have liked, but overall it was a nice site with adequate facilities.” —The Dyrt camper Danny W.
At a height of 200 feet, getting the entirety of Proxy Falls in your photograph might be a challenge. But hey, every photographer likes a good challenge, right? The best vantage point for photos, however, is further away. You’ll want to get as much of these spectacular falls in your frame as possible. Another option is going for more detail and focusing on the countless streams and cascades that make up Proxy Falls. The best time to visit these falls is late-spring, when waterflow is at its peak. 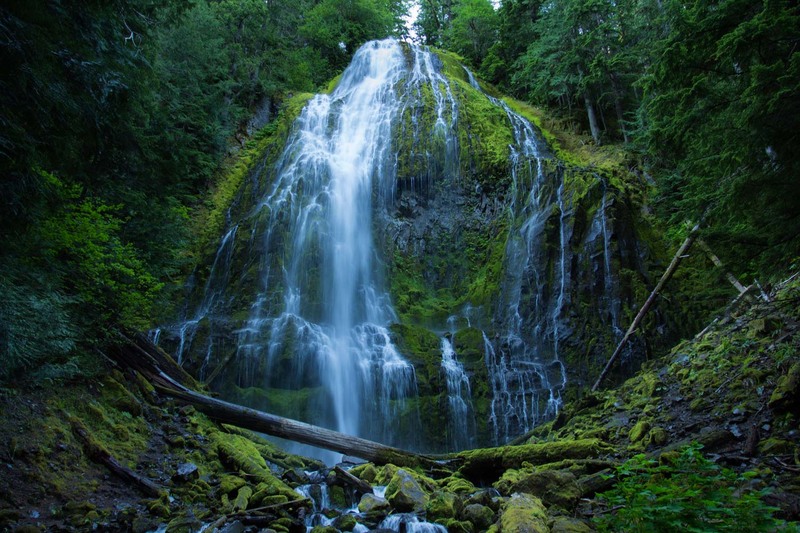 You’ll find the Proxy Falls in central Oregon’s Willamette National Forest. 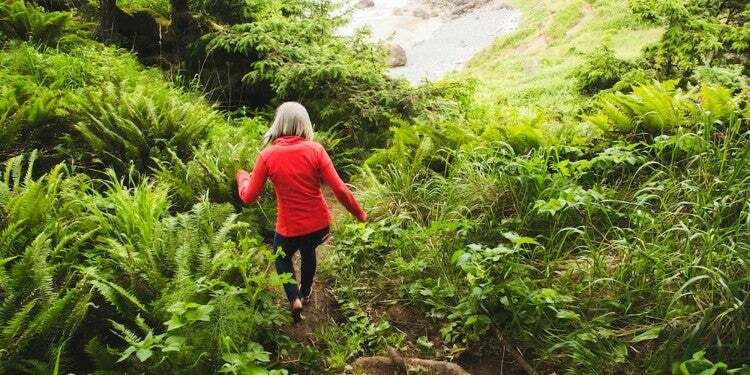 It’s an easy 1.25-mile loop hike to the falls. 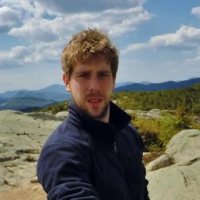 “This campsite is the perfect place if you enjoy secluded tent camping in a primitive style but still want the comforts of a fire pit, picnic table and a toilet. The scenery is hard to match. Views of Three Sisters makes for the most breathtaking sunrise and hiking around the lake is beautiful. It was serene, quiet, picturesque, clean, and free! 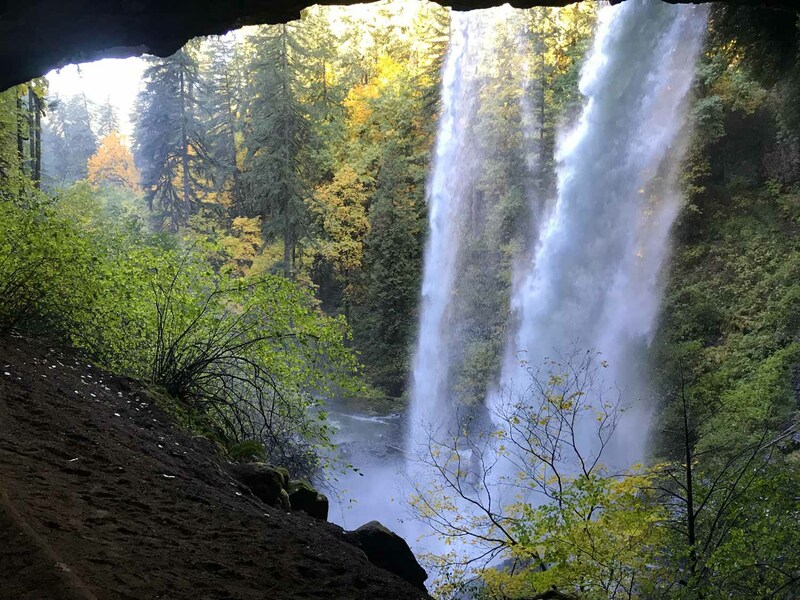 Get there early to get the best spot; first come first served.” —The Dyrt camper Aaron P.
Image from The Dyrt camper Jill T.
About half an hour east of Salem, Silver Falls State Park plays home to the awesome Trail of Ten Falls, which as its name indicates runs past no fewer than ten waterfalls in Oregon. The most famous and easiest to reach of those falls is South Falls. Its height of 177 feet makes it the second-tallest waterfall in the park, and the one with the longest single drop. What makes it so special, though, is that you can walk behind it. You’ll find photographic opportunities all over the place—visitors can hike to every vantage point possible. Try to visit on a weekday, weekends can get extremely crowded. “It was pretty busy, and the campsites were pretty close together..! I would recommend staying here for a night just so you can do the entire 10 waterfall hike! The trails, and everything is maintained very, very well. It is super clean! Everything is so lush, and beautiful.” —The Dyrt camper Natasha R.
One of the most famous Oregon waterfalls, Toketee Falls is a major attraction in southern Oregon’s Umpqua National Forest. Famous for its columnar basalt formations, this 133-foot waterfall on the North Umpqua River plunges into a gorgeous natural pool. Located on the Rogue-Umpqua Scenic Byway, one of the many scenic byways in Oregon, the falls are accessed via a short 0.4-mile trail, which leads to a viewing platform. This is one of several superb natural attractions in this area. In the vicinity, you’ll also find places like Toketee Lake, the Umpqua Hot Springs and Diamond Lake. 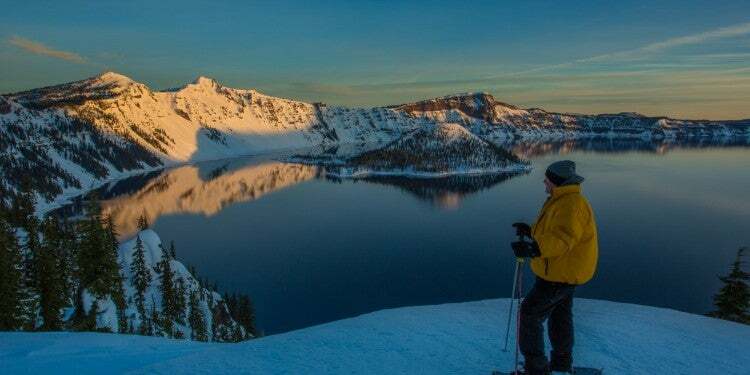 Oregon’s only national park, Crater Lake National Park, lies a short jaunt to the south. 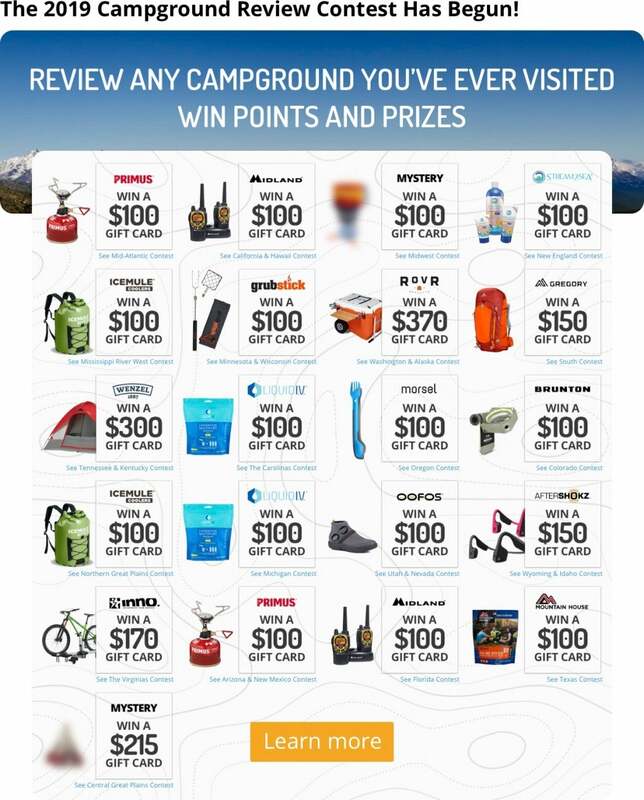 “Thoroughly enjoyed camping here. Lots to explore! Enjoyed hiking the Umpqua Trail up to the hot springs. Also explored the lake near the campground. Loved the sort hike to Toketee Falls.” —The Dyrt camper Nichole L.
Located in Willamette National Forest in central Oregon, Salt Creek Falls’ main drop is roughly 286 feet, making it the second-tallest single-drop waterfall in Oregon. The falls are super-easily accessible as a viewing area lies only 50 yards from the parking lot on Highway 58. The viewing platform is wheelchair-accessible, while a handful of other trails offer several other vantage points. You can hike down from the platform to the base of the falls and/or go for a loop hike on a short gravel trail along the canyon rim. The best time of year to visit Salt Creek Falls is from April to August, when the water volume is at its highest. “Odell Lake is gorgeous and has a rock bottom. Great for wading out into the water or swimming. Fishing is an option if you have a larger boat or canoe to withstand the waves of the water. 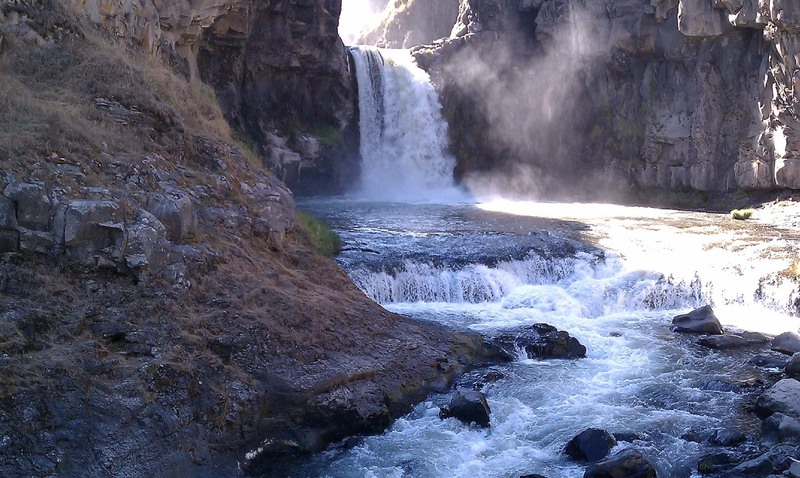 Also, gorgeous views of the mountains if you want to use the nearby day use area!” —The Dyrt camper Kelly N.
One of Oregon’s “secret” state parks is White River Falls State Park. The obvious centerpiece of the park is White River Falls itself, a 90-foot plunge of the White River’s waters. 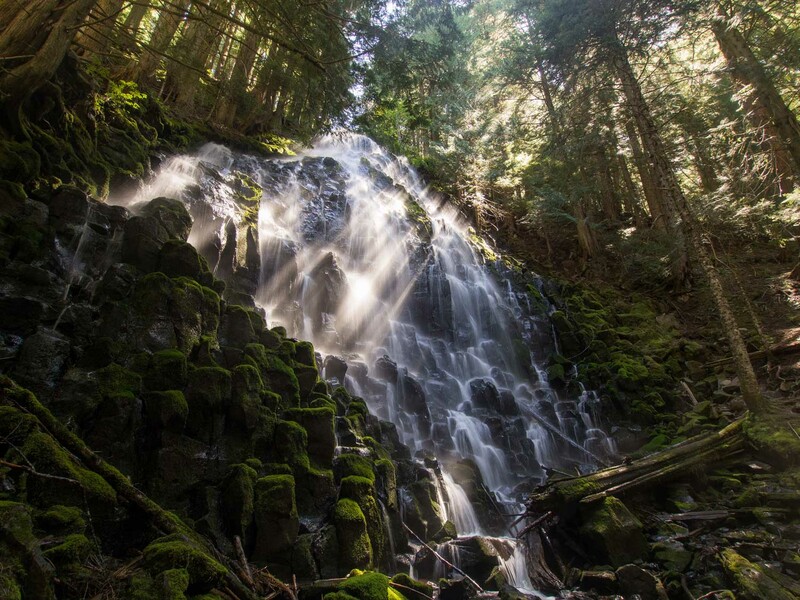 You’ll find various viewpoints throughout the park, but the best way to see these beautiful Oregon waterfalls is at the end of a 0.25-mile trail into the canyon. Another point of interest is the historic hydroelectric power plant, which produced electricity for Sherman and Wasco Counties until the dam in The Dalles was completed in 1960. White River Falls State Park lies in the High Desert east of Mount Hood National Forest, off Route 216 and just north of Maupin. While you’re in the area, also consider visiting Shaniko, one of the best-preserved ghost towns in Oregon. 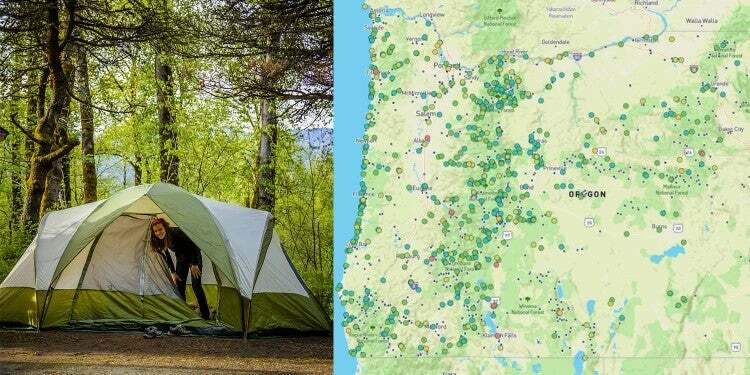 “A gloriously tucked away, all-year campground on the confident, adventure-inducing Deschutes River. Provides a nice balance of openness and privacy, with good space between a lot of sites, a chatty, rapid-filled river to muffle noise and high cliff walls, and hills on all sides. 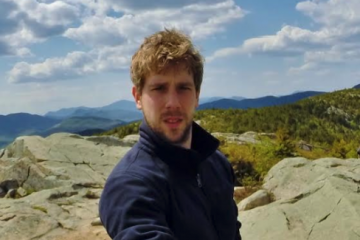 Great walking and hiking, Mt. Hood and other tall peaks in view as you drive around and plenty of rafters and fisherpeople to give everything a well-rounded, sanctuary feel.” —The Dyrt camper Bjorn S.